We love all our clients here at Brightspark. 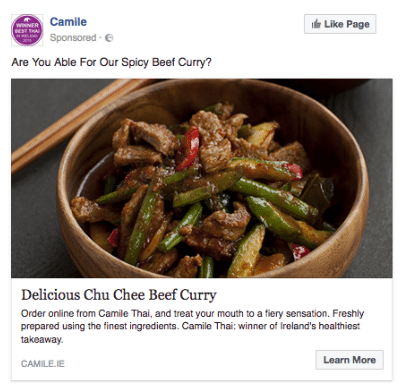 But when we got an opportunity recently to work with proven entrepreneur and visionary, Brody Sweeney, and his two uber switched-on digital marketing managers at Camile Thai, we got a little bit excited. 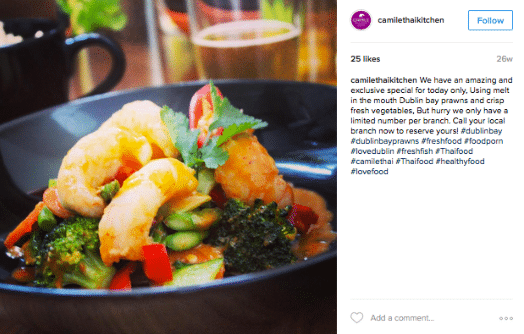 Like many other business owners, Brody Sweeney does not claim to be an expert at social, so he employs a talented digital marketing team who are tasked with delivering on Brody’s vision for restaurant style home delivery Thai food. But the question remains: how can we be sure that our in-house marketing teams are using the most up to date methods for social media management when it’s an area that changes so rapidly? We introduced the social media mentor service to address the needs of those who know how to do social, but need a bit of a helping hand ramping things up and getting the best bang for their social media advertising buck. It was a worthwhile exercise for us. Brightspark put new strategies in place around the tone and style of our content, helped us target more influential “influencers”, and helped us schedule our content more effectively. This is a nurturing programme, designed to support your team as they drive results, while also learning the latest techniques that might have come out since they completed their digital marketing training. We work alongside your team and hopefully our nerdy buzz of experimenting and testing everything will rub off a little bit along the way. The first thing we did on the Camile Thai project was establish a list of clearly defined goals. Based on a detailed briefing from the team about business objectives, we identified a list of activities that would go towards achieving Camile’s goals. They related to content publishing, social ads, and influencer marketing. We were already heavy engaged in social media marketing but wanted to improve the quality of our content and its frequency. Another aim was to experiment with new social advertising tools and audience targeting while simultaneously improving our CTR and reducing our CPC. 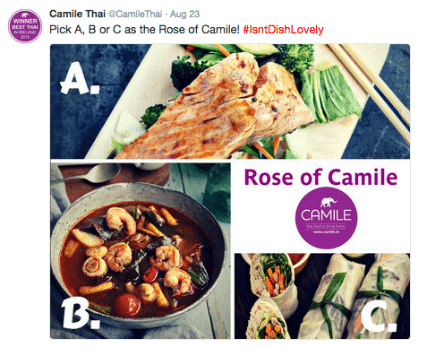 The team at Camile Thai had already been producing high quality content across four platforms: Facebook, Twitter, Instagram and Snapchat. Our mission was to look at ways of improving the content, while guiding the team to achieving it in a more time effective method. We introduced the Camile team to Brightspark’s Content Planner – a weekly content planning tool that makes it easy to stay on top of your publishing goals. And we delivered training in how to adjust writing style for the web, something that had immediate impact. Lots of text. Non engaging. Image too stocky and not really relevant. Shorter text. Less salesy. Higher quality image, with logo on it. Too much text. Too salesy. No tagging or hashtags. Less text. Less salesy. Better images. 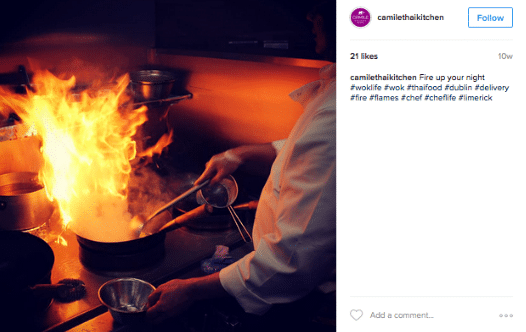 The team at Camile already had a list of influencers whom they were targeting. Brightspark reviewed the existing list, and recommended alternatives and suggested additions. Those we selected were based on genuine interests in food, health and fitness and not just the size of their follower count. The revised list was then monitored daily using a social media tool that enabled us to engage easily and at scale. Perhaps an area where we added the most value was in driving a higher return on social ad investment. 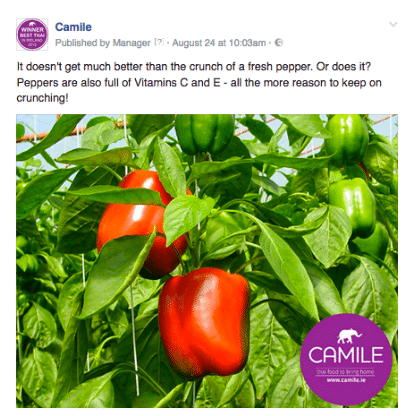 Camile had already been running ads on Facebook, Twitter and Instagram. Working with the team, we were successful in driving down the cost per click, whilst increasing reach on conversion ads, as well as introducing new and creative ad strategies for Twitter and Instagram. 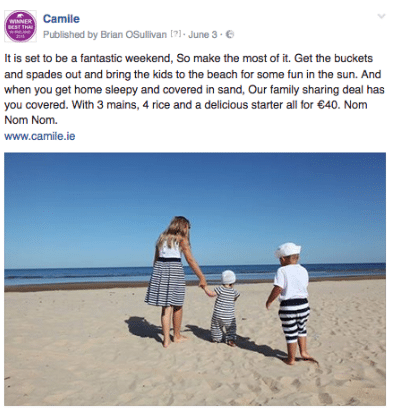 Together we introduced the latest Facebook ad types, introduced new audiences, and continuously tried and tested lots of little experiments designed to optimise the results they were getting. All the time, we kept Brody and the team informed about results being achieved, and ideas for the following week. Included in the report was: quantitative metrics, post engagement metrics, efficiency metrics, Facebook, Twitter and Instagram analytics and ads analysis. This was sent to Camile Thai every Monday and was used as a foundation on which to focus the activity for the following week. Our marketing team are quite proficient in digital marketing, but I, and the team felt we would benefit from an audit of what we were doing. Brightspark did that, and in addition put new strategies in place around the tone and style of our content, helped us target more influential “influencers”, and helped us schedule our content more effectively. 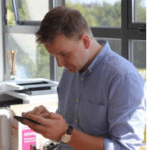 It was a worthwhile exercise for us, and I have recommended Brightspark to other business owners already, who I know are serious about digital marketing. Social media is always changing, so perhaps we will engage again in coming months to refresh and update. 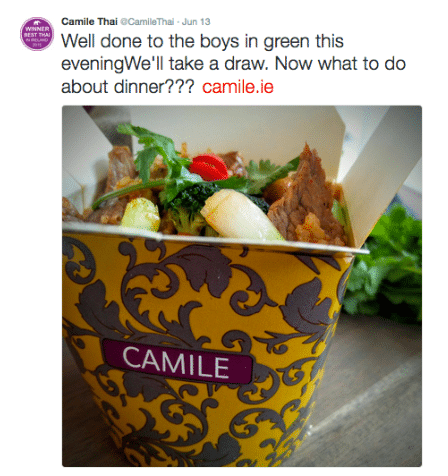 In the meantime, if you haven’t already checked them out, head over to Camile and be prepared to salivate! If you’d like to have a conversation about Brightspark’s Social Media Mentor Service – get in touch! Fantastic to work with. They brought a very strategic focus to the project and were great at helping us refine our message and audience targeting. I am delighted to say it worked. We have improved our social ad engagement significantly.